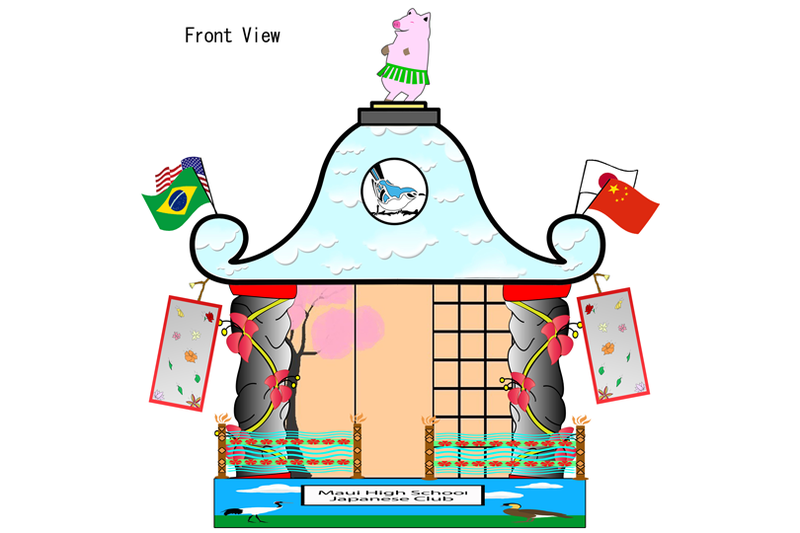 Maui High School Wins the 12th Annual Maui Mikoshi Design Contest! The sub theme of the 21st Annual Honolulu Festival has been announced! We are pleased to announce the sub theme for the 21st Annual Honolulu Festival, “Creating Cultural Friendships with Aloha”. The 21st Annual Honolulu Festival will be held on March 6-8, 2015. Mark your calendar for these dates! 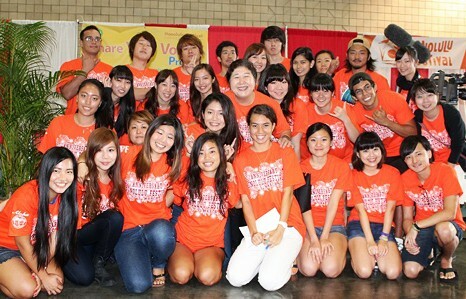 “Share Your Voice Project” – a collaborative educational project between the Honolulu Festival Foundation and Kapiolani Community College took place during the 20th Annual Honolulu Festival. 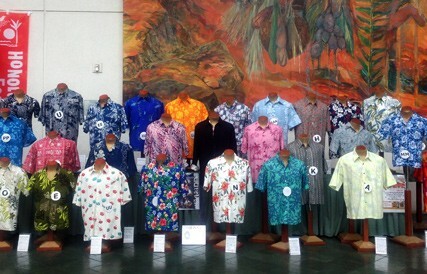 This year we presented a special event called “Company Aloha Shirt Exhibition Contest” in the 20h Anniversary Honolulu Festival at the Hawaii Convention Center. 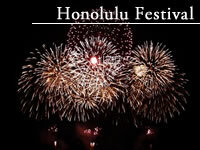 The 20th Annual Honolulu Festival a Howling Success! Thank you all of you for coming to the 20th Annual Honolulu Festival. Time Capsule Ceremony, Time Capsule Has Been Opened! A Free Concert to Promote International Cultural Exchange through the Power of Song! The Friendship Gala TickManoa DNAets are Available Online! 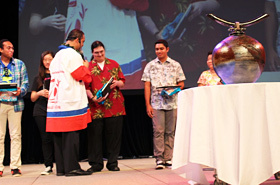 The Honolulu Festival was honored by the attendance of Mayor Kirk Caldwell at the festival organization meeting on February 27, 2014. Mayor Caldwell stressed how important the festival is to the State of Hawaii and the City and County of Honolulu in bringing visitors to Hawaii to celebrate our diversity. The City and County of Honolulu has generously donated $25,000 to the Honolulu Festival Foundation to celebrate the festival’s 20th anniversary.